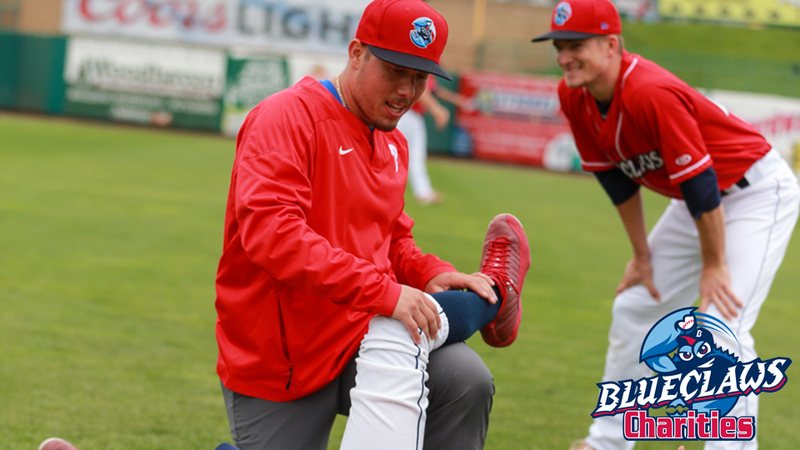 The BlueClaws, led by Strength & Conditioning Coach Jacob Bunce, will host a Baseball Wellness Clinic on August 31st. LAKEWOOD, NJ - The BlueClaws will host a special Wellness with the BlueClaws clinic at FirstEnergy Park on Thursday, August 31st from 10 am until 12 pm. The camp will feature Speed & Quickness Base-Running Techniques, baseball agility drills, as well as obstacles and relay races and is for players of all ages and ability levels. They will learn the best techniques, exercises, and treatments to keep in prime athletic condition to maximize on-field production. Jacob Bunce CSCS, CEP, USAW, the BlueClaws Strength and Conditiong Coach, will run the event, which will also feature BlueClaws players. "In addition to showing various drills and techniques, this is going to be a fun clinic with BlueClaws players," said Bunce, in his third year with the Phillies and first with the BlueClaws. "It's a great opportunity for young players and athletes to learn to train like professional baseball players." Registration is just $10 and 100% of the proceeds will benefit BlueClaws Charities and their Community Partners Program. BlueClaws Charities works with 40 Community Partner organizations throughout the Jersey Shore and this event will support the end-of-season grant program. To sign up, call Kevin McNellis at 732-901-7000 ext 164. The BlueClaws are the Jersey Shore's top stop for affordable, family entertainment. They have led the South Atlantic League and New Jersey in average or overall attendance in all 16 years of existence.